I have four students. Four boys. They make up my class this year. 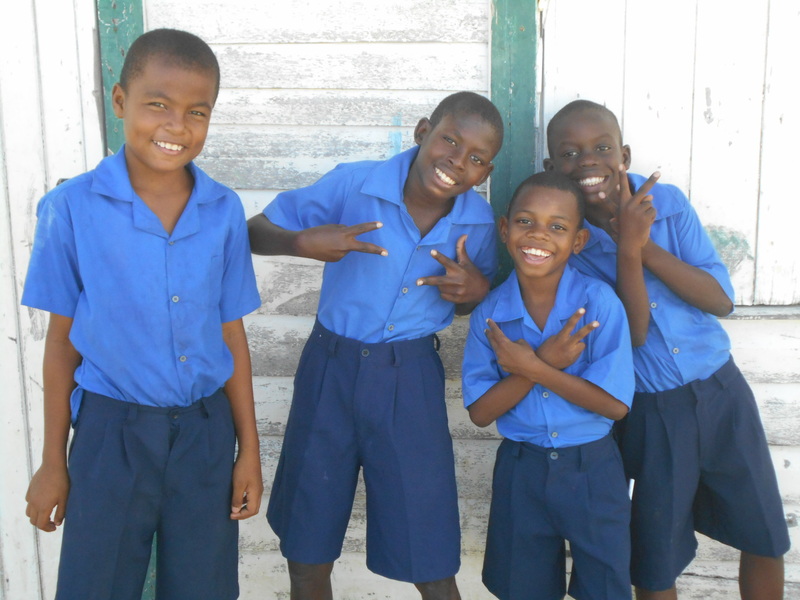 One American teacher, four Guyanese fifth graders. They are a mix of nine and ten-year-olds, all dwelling in the ophanage, but all coming from an array of backgrounds. Some are orphaned, some are half-orphaned, and others simply have families that cannot financially support them year-round. And so, I have my class of four. When the school year began in August, I wasn’t certain of the role I would play at Bosco Academy. While the orphanage is home to 50 boys, ranging from ages 5 to 16, the school on the premises is only for the boys in grade 6 and below. After a week, I was appointed to be the grade 5 teacher for the year. With more than 20 boys in the school, there’s plenty of opportunity to interact with all of the students, but my main focus remains on my four. Each day, I’m reminded that four minds are counting on me to teach them about long division, how to use quotation marks, and to instruct them on the difference between “weather” and “whether.” Not to mention other completely daunting tasks that make me feel far too much like an adult. Perhaps saying that I have a class of four makes it seem like the job I have is a walk in the park, but all of the one-on-one attention changes the relationship between teacher and student, which makes the job easier and more challenging at the same time. Each boy has completely different personalities, which keeps class both exciting and challenging. There’s never a dull moment with there four boys. Now that life in Guyana has transformed from nearly impossible to “normal”, it’s nice to be able to look back over the incredibly difficult first six weeks of this experience knowing I’ve survived. In terms of work, catching Guyanese mini-buses, navigating the city, and growing used to the accents, the school, the schedule, the temperature, are all things that I’ve learned to cope with. Ironically, as I teach my four boys this coming year, I’ll be the one learning more than anyone else. This entry was posted in Guyana, South America and tagged fifth grade, teaching, teaching abroad. Bookmark the permalink. I would think that four is a lot harder than twenty. Thay are lucky to have you.